Our most advanced, comfortable training short! The VapoDri 2-in-1 Short is highly flexible, and features reflective elements and a dedicated media pocket to make training enjoyable and safe in all conditions. 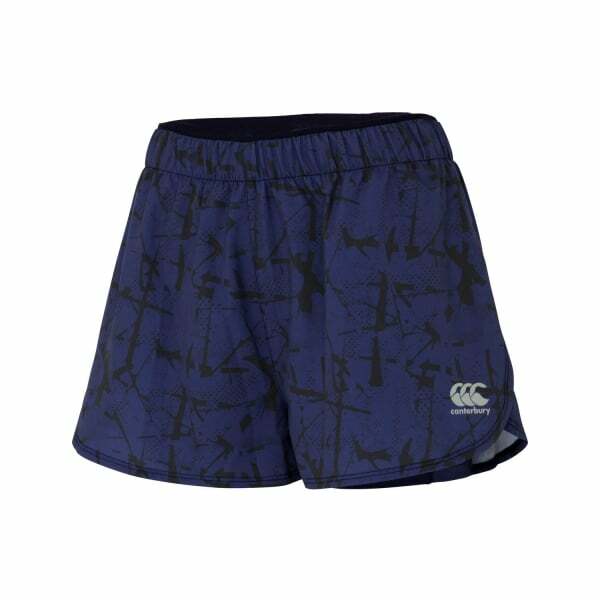 You don’t get more comfortable than this 2-in-1 short by Canterbury. Manufactured from a premium blend of 94% polyester and 6% spandex, the short is incredibly flexible, but at the same time a triangle-shaped gusset in the inner short prevents uncomfortable ride-ups. In addition, the short makes full use of Canterbury’s VapoDri technology: our leading innovation that helps keep sweat off the body by absorbing and evaporating it quickly, maximising comfort during long training sessions. Reflective elements mean you can wear the short on a late night jog safely, and a media pocket allows you to listen to your favourite music while exercising.